Temple athletic director Patrick Kraft. 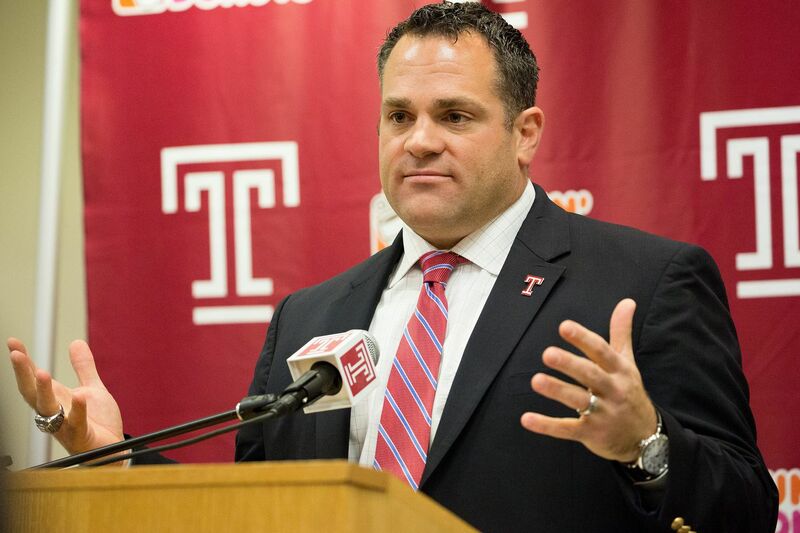 While one source earlier in the week said that Temple would likely not interview candidates for the head football coaching job until next week, another source said the timetable has been moved up. Temple, according to the source, was expected to conduct interviews beginning Friday, and they could go through the weekend. Those involved in the interview process are being tight-lipped, but the source said it is down to about three to four candidates. A different source said that Temple had hoped to have the coach in place when the players return to class on Jan. 14, but that timetable might be moved up. Temple is supposed to welcome recruits to the school on Thursday. The second signing period will begin Feb. 6. Temple signed 17 student-athletes in the initial signing period, which concluded Dec. 21. Manny Diaz, who replaced Geoff Collins as Temple’s head coach after Collins went to Georgia Tech, resigned Sunday to take the head coaching job at the University of Miami, where he was defensive coordinator, causing Temple to begin another search.